Well, I think the title says it all- I wanted to start a thread on the special watches, those you inherited or received from your family. 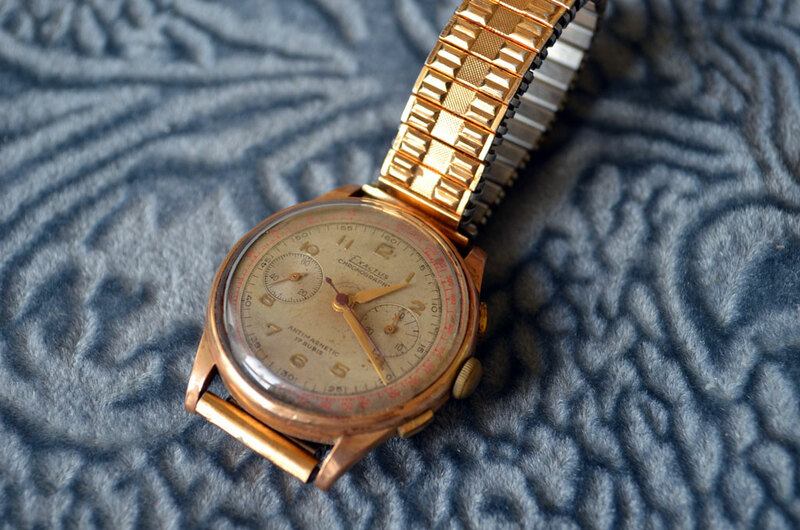 Like knives and tools, watches tend to be special belongings, even more if old an visibly worn by time. But feel also free to post the watch you are planning to hand down to those after you- maybe starting a new family tradition. The watch I am showing here has been in the pockets of my family for more than 120 years now, possibly even more since it had belonged to my great-great-grandfather. It was one of the miracles which my grandpa had in his drawer and used to show us from time to time. Gotta love a classic, even more so if it carries some history. It has it´s own worth completely detached from any material value. Does it run and do yu carry it on special occasions? I hope tpo hand down some things some far away day in the future. It was in my pocket on my wedding day, but it needs to be serviced properly. I'm still looking for the one watchmaker to gain my trust enough so I can rely on not getting back a fully functional, but different watch. Some beautiful watches! I love the sentimental value in handed down pieces of well used gear. 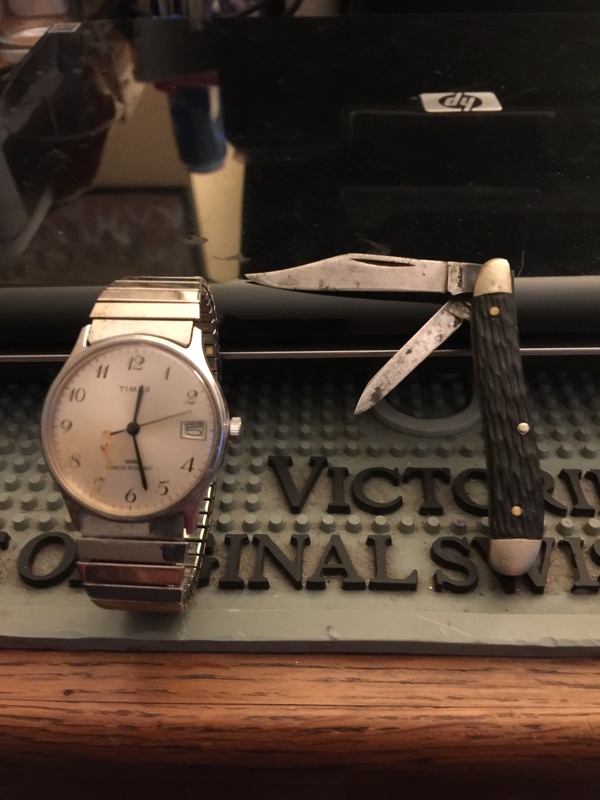 This is my Grandfathers pocket watch and SAK. He didn't carry the watch but he carried the knife every day. Vintage Accutron from the 60s. 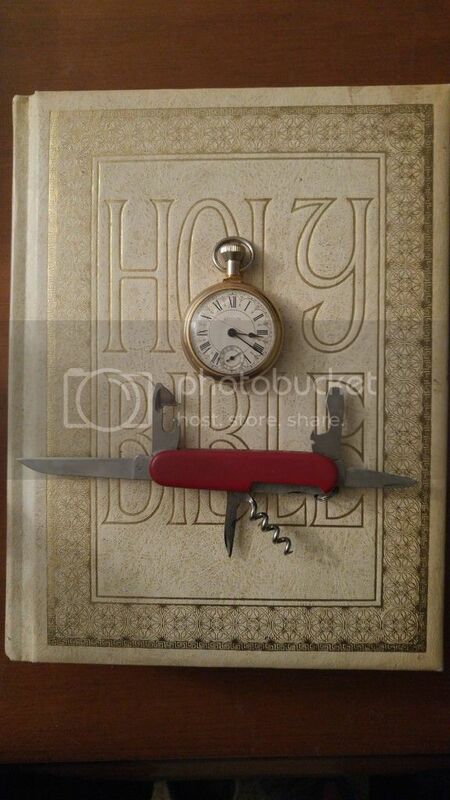 Great to see your watches ( and knives)! It's true that they have a very special feeling about them. The memories and value of these items are priceless. Thank you for sharing these very special treasures.